Henry is a Senior Investment Analyst and Portfolio Manager writing for the last three years in the Marcus Today newsletter. Henry specialises in small and mid-caps although he has a thorough knowledge and understanding of large caps too. Henry also works with the MTIS team to formulate investment strategy and portfolio asset allocation and stock selection. Henry also appears regularly in the media on the ABC and Your Money Channel on Foxtel and Channel Nine. 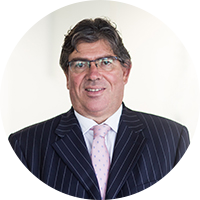 Henry has spent a lifetime in stockbroking and investment banking, originally from the UK, Henry has been divisional director for Macquarie Bank responsible for equity trading and has been both a trader and a broker during his career.